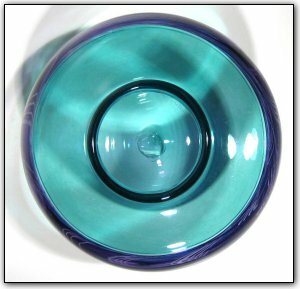 This incalmo bowl features separate sections of light blue and purple, and also features a black lipwrap. Incalmo is an extremely complex technique where each section is made separately and then they are joined one at a time while the glass is still hot. If you zoom in on the photos, you'll also notice the intricate swirls inside the purple section - truly breathtaking!